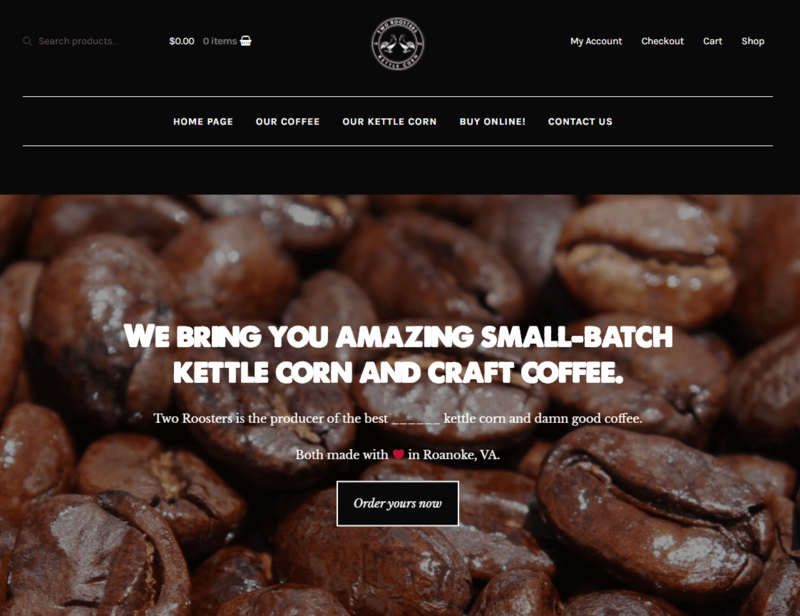 Two Roosters is a Roanoke, VA based coffee roasting and kettle corn company that needed a website and an online store to be built. Mukava created the online store and the website for the Roosters using WooCommerce themes and products. The website boasts powerful imagery of Two Roosters’ products that – for the record – are super delicious.